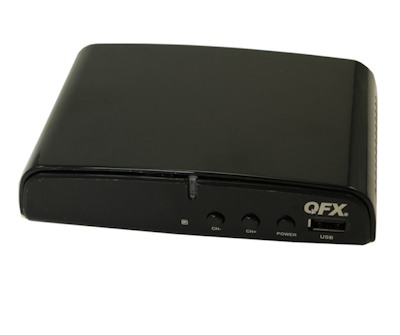 Stop throwing money at Big Cable and catch free Over-the-Air (OTA) digital broadcasts with QFX’s Digital Converter Box. The Digital Converter down converts HDTV signals for use with both standard and enhanced-definition televisions, and includes both an on-screen electronic program guide and remote control for easy "surfing". 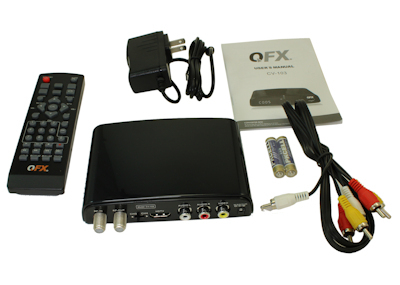 Plug a USB thumb drive or other USB storage into QFX's Digital Converter Box for one-step recording (or music/picture playback) of your favorite shows with the included full-feature DVR. 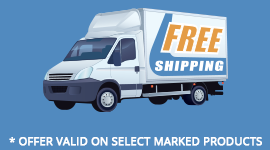 (USB memory stick NOT included).